This Charlotte Table Lamp gives off vintage and modern feels. This would be perfect for someone looking to add a baroque and contemporary vibe into their home. 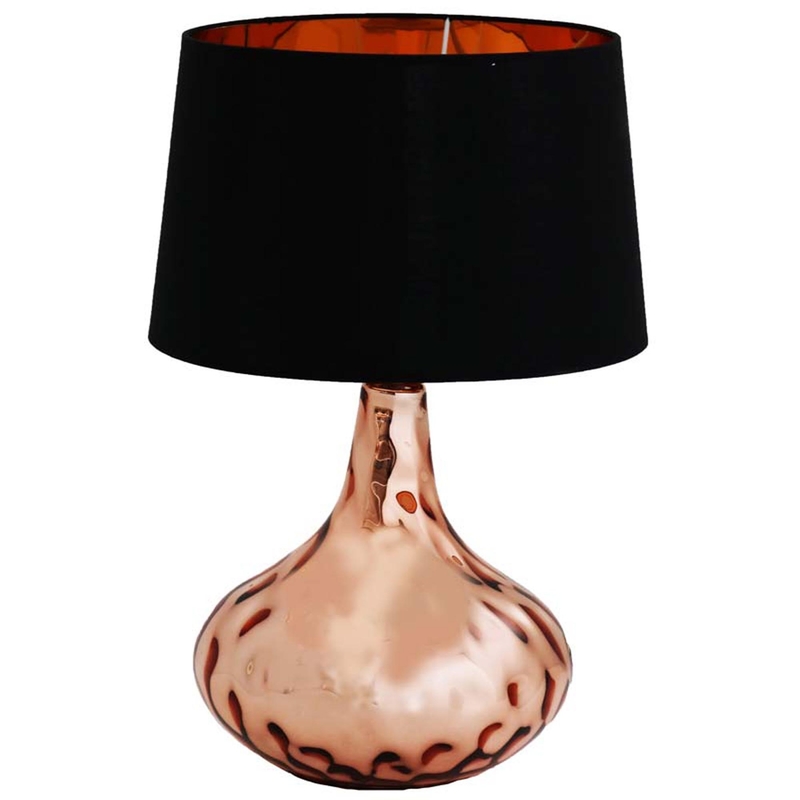 The chic rose gold base with hammered detail and a pitch black shade contrast beautifully off each other making this a eye-catching piece, although it only consists of two colours.